Unboxing: Kode With Klossy Box! October 16, 2016 October 18, 2016 Categories collaborations, Sockin Postsangel, books, code with klossy, coding, computer, fanjoy, fashion, google, journal, karlie, karlie kloss, kloss, klossy, kode with klossy, life, lifestyle, model, nerd, news, runway, supermodel, twitter, unboxing, video, vs, youtube5 Comments on Unboxing: Kode With Klossy Box! If you have been following along on my blogging journey, then you would know my adoration for Karlie Kloss. Not only is she a long-legged beauty who graces the runway on the daily, but she has this essence of genuine that no other super model out there has. Karlie cares for others, in a way I have never seen in the industry before. She truly is super. Karlie found a love for computer coding last year. After discovering these wonders, it was plain to see that there is a lack of women in the fast growing field. Karlie decided to take it upon herself by creating a program for teenage girls to Kode with Klossy; a two-week program to teach the ins-and-outs of the computer programming world to these girls all over the globe while using creative techniques (such as creating an invitation to the Met Gala). A few months back I raved about starting to code in my post Girl-Code . Even though I 100% agree with everything I said, I found myself often forgetting to code until it was not a part of my daily routine. Then my box came. This box arrived at the perfect time. Right as I was stressing for school, coding calmed me down and I felt free again. Here is a video of the contents of the box…. enjoy! Thanks so much for the view. I loved making this video and would love to make more. 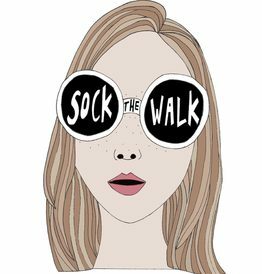 If anyone would like to collaborate email me at sockthewalk@gmail.com or comment down below. Great video, really cool post! Thank you so much, I had a blast making it! You are very welcome! Please feel free to check out my blog where I post every other day about men’s style and lifestyle, and check me on Instagram @tygxo99 where I post daily.